I recently attended a gathering that benefited the American Wild Horse Institute (AWHI). AWHI's mission is to preserve Mustangs and educate people about their plight. Horse-crazy since childhood, I was excited to find out there is a Mustang sanctuary located at the base of Mt. Diablo State Park in Walnut Creek, California not far from my home. I wasn't sure what to expect spending time with the Mustangs. As a child, I dreamt about being a Mustang running free and wild across the Western Plains with my herd. 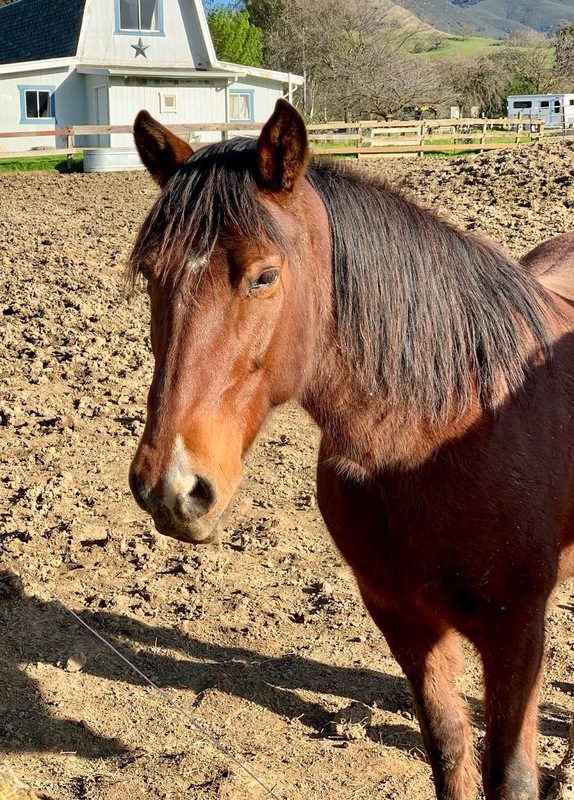 Initially, the seven Mustangs who live at Bryerly Farms seemed like ordinary horses who live in 3 separate paddock areas. There was nothing to suggest they were wild horses. It's interesting to note that there is a difference of opinions about whether Mustangs are descendants of domesticated horses brought to the Americas by the Spanish conquistadors or are indigenous to North American. Dakota/Lakota Elders as well as many other Indian nations contest this theory and content (that wild horses aren't indigeneous), that according to their oral history, the North American horse survived the Ice Age, and that they had developed a horse culture long before the arrival of Europeans, and, furthermore, that these same distinct ponys (sic) continued to thrive on the prairies until the latter part of the XIXth (19th) century, when the U.S. government ordered them rounded up and destroyed to prevent Indians from leaving the newly-created reservations. The first Mustangs I met and communicated with were Amore and Sol who share a paddock next to the driveway. Their energy was calm and welcoming. I felt a childlike excitement to be in their company. Sol and Amore have accepted their role as Mustang Ambassadors. Sol and Amore told me that they hadn't wanted to be a bridge of understanding for people, yet they've embraced their circumstances. They've come to enjoy meeting the curious humans who sometimes see them as an anomaly. 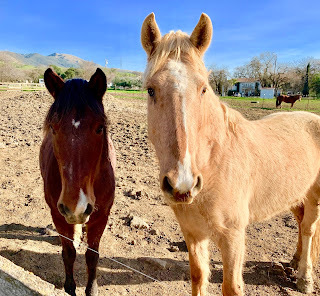 The background stories for Amore and brothers, Sol and Val are heartbreakingly familiar when it comes to Mustangs and the way they are treated (or should I say mistreated) by certain humans. Sol, along with his brother Val, were rescued from a wild horse holding facility when they were mere babies. Tragically, the young colts were taken away from their mother. The brothers were inconsolable as they screamed for their mama. Thankfully, AWHI heard their cries and rescued them vowing to keep the brothers together forever. Sol and Val now live in adjacent paddocks. Sol, who is wise and majestic immediately introduced himself as the herd leader. He explained he was comfortable with his leadership role as he knows how important it educate people about the challenges the Mustangs face for survival. Because I came to the sanctuary as a colt, I know no other life or existence. 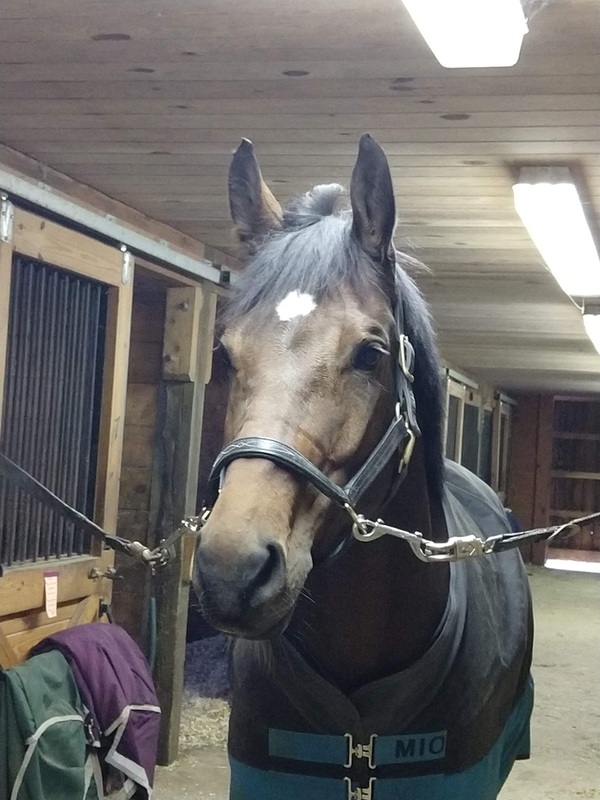 In many ways, I feel less like a Mustang and more like a domesticated horse. I've learned to connect to my domesticated side as a matter of survival. I appreciate hearing Amore's stories of being with her herd as they explored the Western Plains. Before being rescued, Amore was free and wild living with her herd in Nevada. She was captured and bought by a kill buyer who planned on selling her to a Mexican slaughterhouse for human consumption. Amore shared that it was hard to trust people, especially after being captured. The humans around her were cruel and uncaring. She was scared and forced to do things that were unnatural to her. Amore showed me that she fought hard after being torn away from her life as she longed to be free again. Despite being severely traumatized by her ordeal, Amore tells me she now feels safe and happy to be at the sanctuary. She admits she dreams of the day that she'll be able to roam free and run like the wind with her herd. After communicating with the Mustangs, I thanked them for sharing their hearts and wisdom with me. 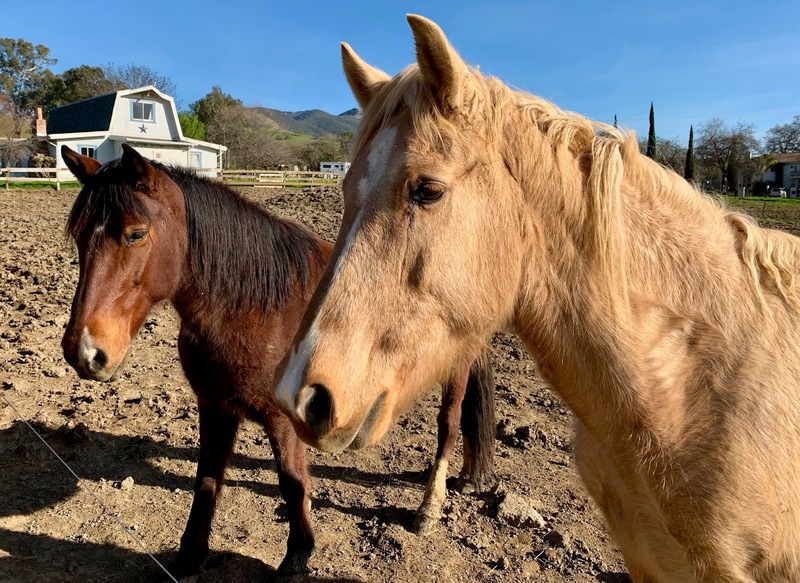 After listening to the Mustangs, I found their commuication to be similar to the many messages I've received from wildlife like wolves, coyotes, elephants, dolphins, and whales. The genocide humans continue to wage on wild animals, including wolves, elephants, rhinos, and wild horses has to stop. It's heartbreaking to think of how many animals have gone extinct or have become endangered in the past 60 years. As long as there is an appetite for horse meat in Western Europe and Asia, wild horses will be killed just like elephants are killed for their ivory tusks. The continued destruction of habitat to feed human needs for housing, food, and cattle raising is destroying our environment and way too many animal and insect species. It's naive and shortsighted to believe that humans won't soon become extinct given their lack of connection to Mother Earth. I came away from my Mustang encounter feeling concerned, but cautiously optimistic that Mustangs and other species will survive the wrath of human destruction. Animals are crying out to be heard before it's too late. Humans need to remember we are interconnected and interrelated so what harm we cause animals will ultimately harm ourselves. One way we can change is to open our hearts to hear the musings of the animals. You can improve the lives of the animals by increasing your telepathic animal communication abilities. When we work in harmony with Mother Nature instead of against her, the better our chances are to stem the tides of destruction. 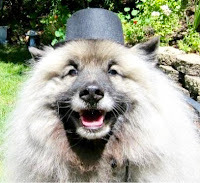 Valentine's Day is a bittersweet day for me because it's my beloved KC the Keeshond's birthday. 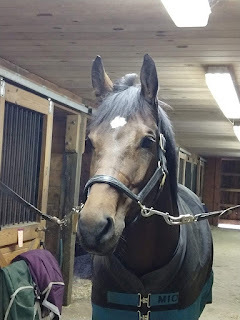 I don't really know when he was born; I rescued KC close to Valentine's Day in 1993. It seemed fitting that this exceptional dog, who was so full of compassion, wisdom, and love would be born on Valentine's Birthday. I find it hard to believe it's been 18 short years since we said "goodbye." 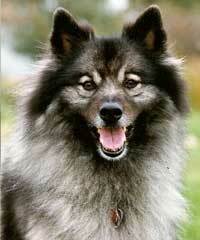 My KC was an incredible partner and old soul in a beautiful fuzzy Keeshond body. A bright spirit, he had a fantastic way of opening peoples' hearts, especially mine! When KC died, it was hard for me to move forward given the vital role he played in my life. He was a catalyst that catapulted to me where I am today. I will always be grateful for setting me on my current path. It was a cold sunny January day by the San Francisco Bay when I initially heard KC calling to me telepathically. I heard a voice say to me, "It's time for you to have a dog. Come find me." At the time I didn't know what I was receiving was called Animal Communication. Yet, I knew it was time to find a dog to assist me in my life. 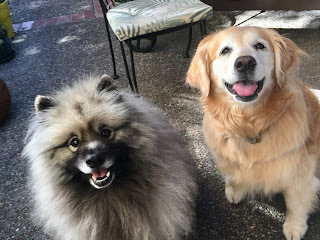 After a brief two week search, I found KC in Placerville, Ca at the Keeshond rescue shelter. From the moment I laid eyes on him, I knew KC was the one calling out to me. It was love at first sight. Finding him felt magical. KC worked tirelessly to open up my intuition and telepathic abilities. His divine guidance and inspiration led me to become an Animal Muse. His steady and wise presence nurtured me as he guided on my journey of self-discovery of my true self. I credit KC for many good things in my life. KC accompanied me to graduate school while I earned my Master's degree in Counseling and Education. My school awarded KC his own honorary Master's degree: Conscious Canine because of his loving and compassionate participation in my classes. KC is the first and only dog to receive an honorary Master's degree from John F. Kennedy University. As we worked on our Master's, KC telepathically communicated to me his desire to teach children about being kind and responsible to animals. While I liked the idea of doing Humane Education programs, but I never lost sight of my desire to become an Animal Communicator. After graduation, KC and I became volunteer Humane Educators. Together, we planted seeds of kindness and respect about all living beings in the web of life in classrooms around my county. We loved doing school programs. I particularly enjoyed watching KC as he was a masterful teacher and skilled partner who always put smiles on the faces of our students. KC was right by my side while I did my Animal Communication training. His loving support and encouragement helped me develop my telepathic abilities. KC made sure I didn't give up on my dream of being an Animal Communicator. One of the hardest lessons my best friend and constant companion taught me was how devastating grief could be when he transitioned home to Spirit way too soon in 2001. Losing KC was earthshattering and life-altering to put it mildly. It was hard coping and dealing with the pain of his loss. It took me months to recover. Always wise, KC's death inspired me to become a Pet Loss Grief Counselor. "Now that you understand how hard it is to lose an animal companion, I urge you to help others. No one should grieve the death of a pet alone. I want you to offer them solace." 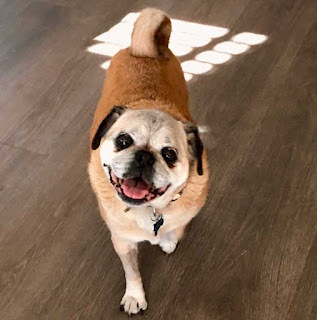 Besides bringing solace to people around pet loss, KC encouraged me to give hope to humans when their animals are going through the dying process with Hospice and Euthanasia Counseling. While I miss his physical existence, KC's ongoing Spiritual Presence in my life continues to teach me about unconditional love, self-acceptance, mutual respect, and compassion towards all living beings in the web of life. Thank you, my dear KC, for all that you continue to do for Mother Earth and me. Every day I'm grateful for your loving Presence, Guidance, and Love. Happy Birthday my Sweet Angel! This holiday season give your animals the gift of love, peace, and joy by opening your heart chakra, which is where Animal Communication and Reiki originate. 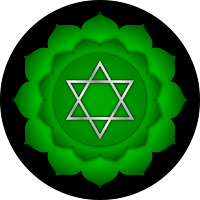 The heart chakra* is the pathway that connects you with your true spiritual nature and all living beings in the web of life. It’s through the heart, located in the middle of your chest that the physical and spiritual merge and connect us with our intuitive self, nature, and animals instead of in your logic and rational mind. 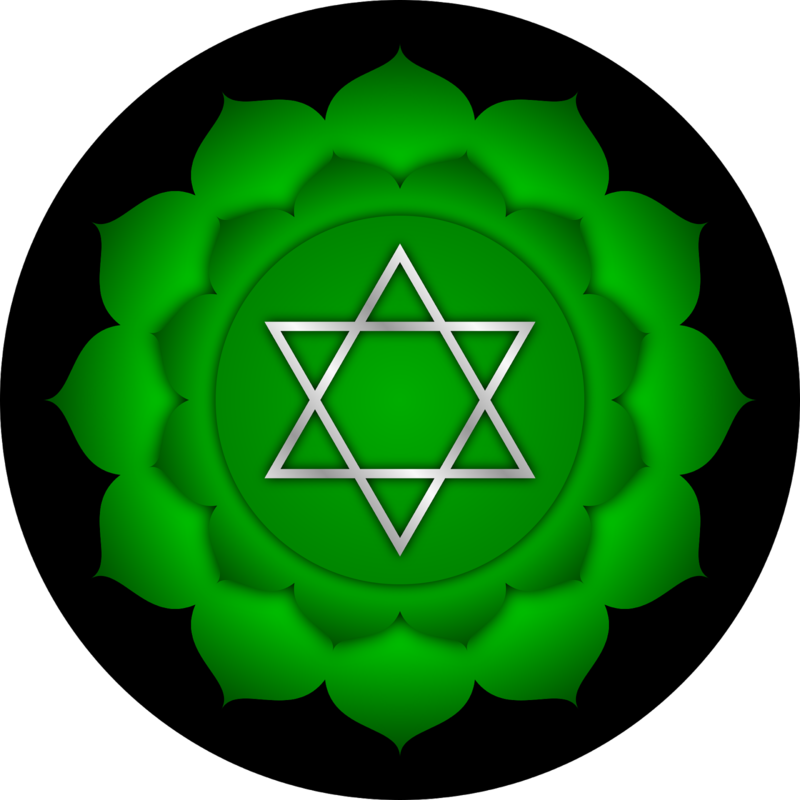 The fourth chakra, called Anahata is the center of love, empathy, and compassion. When you are in your heart-center, you transmit calm, loving and peaceful energy. 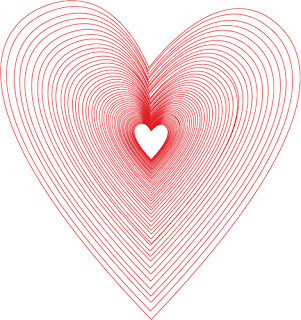 Plus you are more grounded and centered because you are in the Universal life energy flow of love that supports and nurtures all living beings. Animals respond positively when humans come from their heart center, not in our thinking mind. Unfortunately, logic and thoughts are valued over heart energy. When we are up in our heads, it disconnects us from our true spiritual nature, others, specifically our animal families. Your pets feel the energy you're experiencing at any given moment. It's like casting a stone in a pond that ripples outward because all our thoughts and feelings go off on energetic waves to those around us. Both people and animals naturally absorb these energies. That's why animals instinctually move away from disturbing energies like stress, anger, anxiety, and fear whenever possible because this type of energy tells them to go into fight or flight mode to avoid danger. When you radiate love and compassion, you become a magnet to animals. 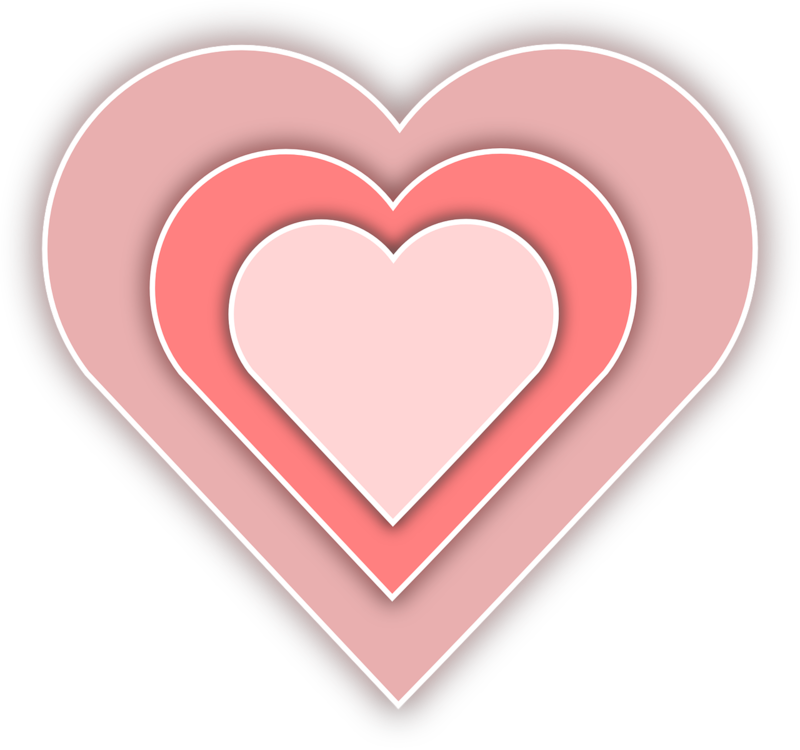 Animal Reiki pioneer, Kathleen Prasad from the Animal Reiki Source created this excellent animated video that clearly illustrates how animals perceive and respond when we connect with our heart chakra and the spiritual life force energy known as Reiki. 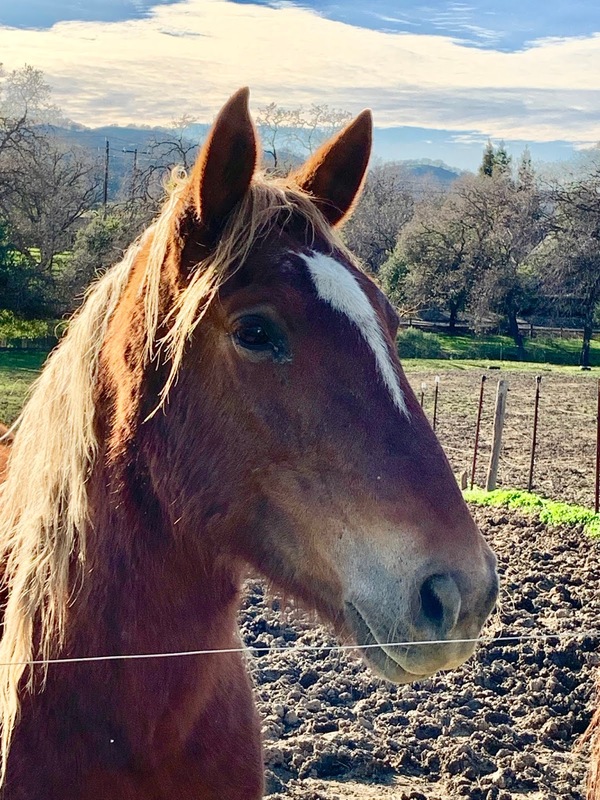 Kathleen does a masterful job showing how animals, whether they are domestic, wild, farm, or caged respond to the calm and loving energy of love and Reiki. 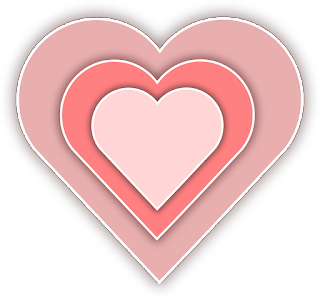 An excellent way to access your heart chakra is by practicing Animal Communication and Reiki which are heart-centered and connects us to animals on a deep Spiritual level. When you communicate telepathically and become Reiki with animals, you naturally transmit peaceful and loving energy that all animals need and desire. Living a heartfelt life is a gift that keeps on giving. Just breathe through your heart center, feel all the love you have for your animal family, and you will naturally radiate love, peace, and compassion. *Chakra is Sanskrit for wheel or disk. Each chakra is a swirling vortex of power which represent specific frequencies and colors. There are seven wheels of spiritual power throughout human and animals' bodies which connect us to the web of life and the Universal life energy force also known as Reiki. 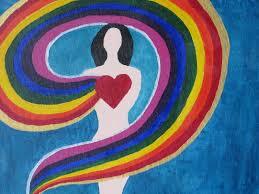 The fourth chakra is located in the center of the chest. In a recent blog post, What Do Pets Really Want? 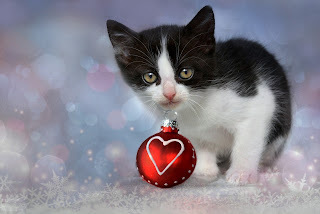 I discussed how the best Present you can give your pets is your undivided Presence. Your pets appreciate and benefit when you're able to sit quietly with them. They understand everyone wins we stay present and centered in mind and body. One way to become Present is by practicing Mindfulness, which is a lot easier said than done given our busy lives, endless distractions, and thoughts. Mindful.org defines Mindfulness, "as the basic human ability to be fully present, aware of where we are and what we’re doing, and not overly reactive or overwhelmed by what’s going on around us." Animals are naturally mindful because they instinctually live in the here and now, not in the past or future like humans tend to do. They are keenly aware of what's going on around them since their lives depend on it. Pets absolutely know when humans are overwhelmed and reactive and prefer it when the energy around them is peaceful, calm and balanced. Living mindfully is about consciously being in the present moment where the animals live. 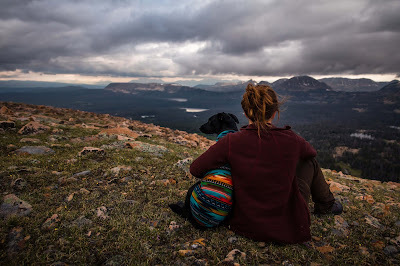 The more mindful you become, the more aware you'll be of your animal family's thoughts and feelings making it easier to communicate and understand your animals' viewpoints. Practicing mindful living teaches us how to redirect conditioned responses to prevent overreactions or feelings of being overwhelmed with what's going on in our thoughts and environment. Unlike animals, humans have to consciously work at being mindful because we experience 50,000 plus thoughts a day. This endless mind chatter takes us into the past or future, which doesn't exist for animals. When our thoughts take over, it’s hard to stay present because our awareness is wherever our thoughts take us which can then be projected onto our animal families. As humans get lost in thought, pets wonder where we go, especially when our thoughts lead to overaction and projections. It doesn't help when we place judgments on our continuous thoughts which takes us even further away from giving our pets our undivided attention. Animals are incredibly sensitive and aware of what's happening around them. They feel whatever energy our thoughts project. These projections can be upsetting for animals, especially if our minds take us to intense emotions like anger, fear, or anxiety. Sometimes this leads our pets to react to what's going on inside of us. Living mindfully is about consciously being in the present moment where the animals live. The more in touch you become with your thoughts, the more aware you'll become of your animal family's thoughts and feelings making it easier to communicate and understand animals' viewpoints. The goal of practicing Mindfulness is to pay attention to the present moment without passing judgment on whatever thoughts may arise. It's about learning how to bring your focus and awareness back to the present over and over again. 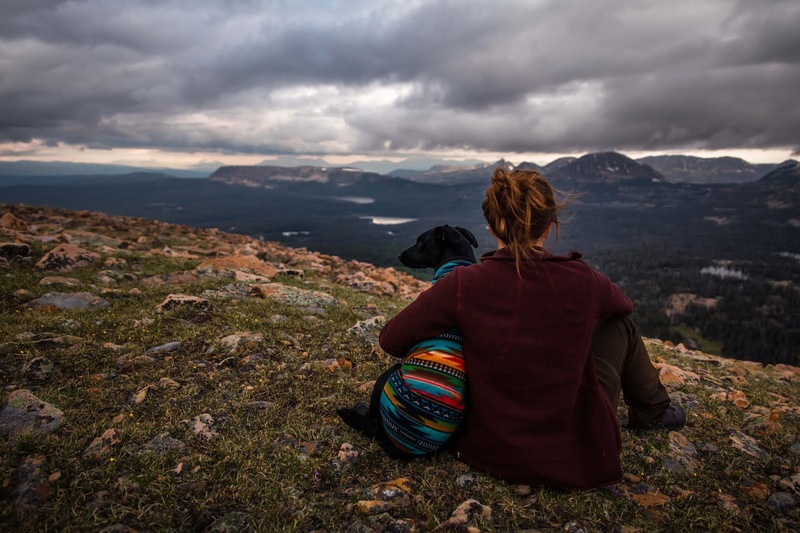 Some of the many benefits of practicing mindfulness with your pets include providing a safe, calm, and balanced environment for them to live in. It's healthier for you and your animal family's mind, body, and soul when we are calm and peaceful. Being mindful takes conscious effort to practice. The more you work on being present with your pets, the better. Thankfully, no unique furniture or equipment is necessary to be mindful as you can do it anywhere. It only takes 5 minutes a few times a day to increase your self-awareness in the moment. Your animal family will thank and support you when you practice Mindfulness with them. Take a couple of deep breaths and slowly let them out. Feel your feet grounded to Mother Earth. Continue to breathe deeply as you bring your focus and awareness to the present moment. As you continue to breathe, observe all that is going on around you in the present moment. Don't rush. Take your time. Just observe. As thoughts arise, let go of any judgments and preconceived notions. Just notice what comes up, then let them go as you allow your thoughts to flow by. Continually refocus your awareness onto your breath as you return your consciousness to the present moment. Recognize what's happening around you in the present moment including your thoughts and animal companions. Keep returning to the here and now as thoughts arise. Repeat the above steps as often as necessary, since being mindful is an on-going process. For more information about Mindful living, visit Mindful.org.